This is technically my favourite bloggers for the month of June, but I've had a super busy month and have had to post this slightly late! How gorgeous has the weather been lately though?! I've been enjoying relaxing in the sun loads, had a lovely weekend away in Nottingham with some friends, been for a weekend away with my boyfriend, and have been drinking a stupid amount of ice cold beer! My name is Helena but called Heli by most people and I am 21 years of age. I'm currently living in Portsmouth with my mum and 5 cats! I started my blog as a uni summer project but loved it so much I decided to carry it on! Aswell as being nicknamed heli, I also have the nickname helibells which is then abbreviated to just bells, which is why it's called 'Bells Fashion' I don't really like the name but really uninventive when it comes to things like that so just left it! I mainly buy second hand and vintage clothes from charity shops and carboots but high street wise my favourite place is probably Asos. 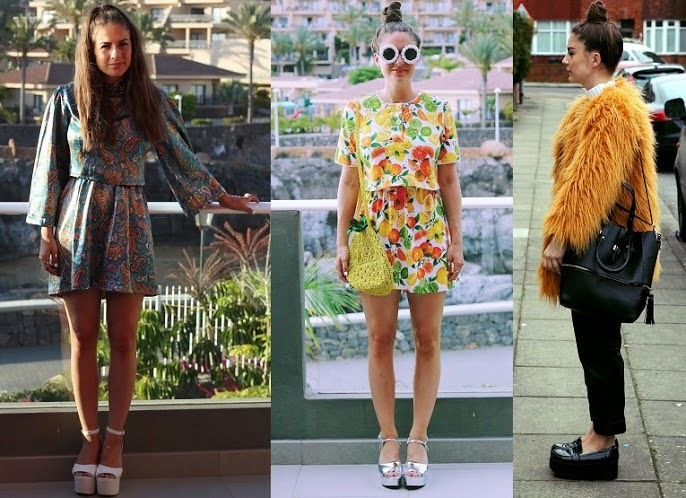 Without a doubt my style icon(s) are the amazing sisters Jess and Stef from How Two Live. Arctic Monkeys- Do I wanna know? Just to listen to Alex Turner's dream of a voice really. Hmmm can I say shoes? If so then my Jeffrey Campbell Nextranes even though they squash my feet to bits they just seem to go with everything! Secondly is the lovely Amy from Amy Valentine. 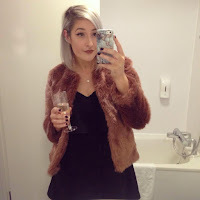 I've been following her blog for quite a while now and I'm obsessed with her pink hair and super long legs! 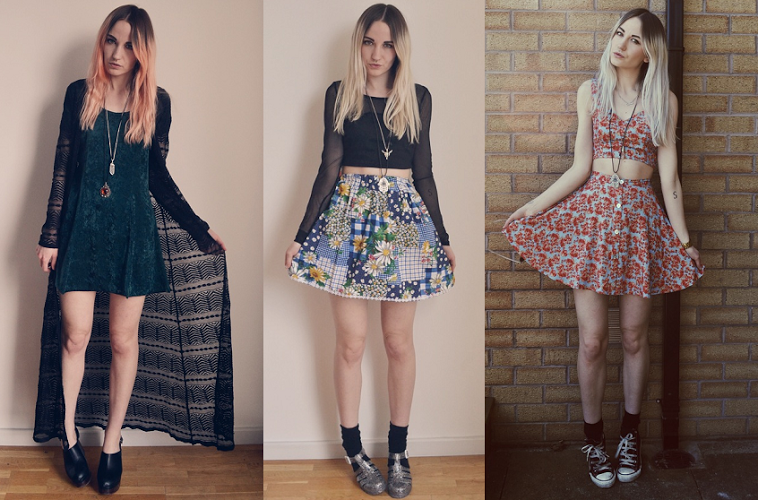 She must have the most amazing wardrobe full of clothes and jewellery, and I love her music taste too! My name is Amy and I'm 18 from Reading. I started my fashion blog as an outlet for my creativity and love for styling up outfits! My blog name is pretty simple really, my full name is actually Amy Valentine Joslin so it's literally just my name! High street-wise I like shopping in Topshop, Primark and Urban Outfitters, but they can often be quite expensive, so I prefer shopping online as you can find everything a lot cheaper and use discount codes, as well as pick up some great finds on eBay. I also try to go charity shopping when I can! I usually take a lot of my style inspiration from other bloggers and street style photos, I can't really think of a single style icon! I'm really loving Memphis May Fire at the moment, specifically the song 'Miles Away' featuring Kellin Quinn from Sleeping with Sirens, another one of my favourite bands! Since I bought my Jeffrey Campbell Spiked Coltranes not so long ago I haven't been able to take them off, I love them so much! Lastly is Sara from Waiste. 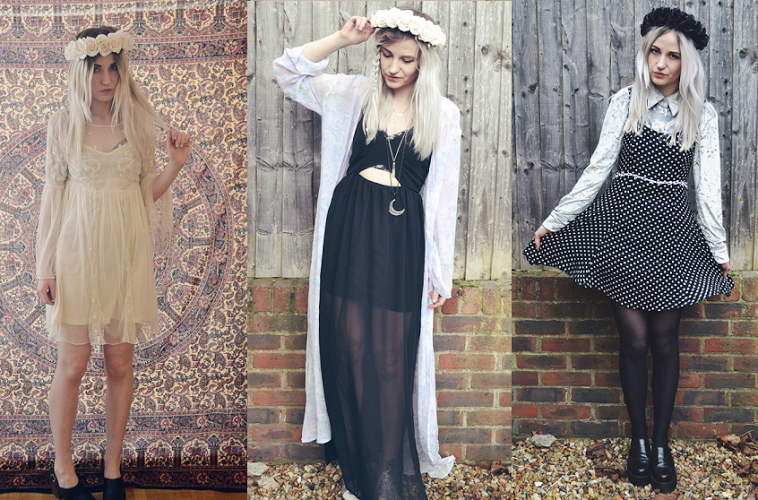 I had already picked her to be on my third favourites post before I even applied to intern at Waiste clothing! But now I have the internship and I'm seeing her weekly, I feel like I know Sara really well, and she's so lovely that I want to feature her even more now! She has the most amazing collection of clothes including lots of patterned pieces and gorgeous jewellery too! My name is Sara, and I'm a 20 something girl living in East London. 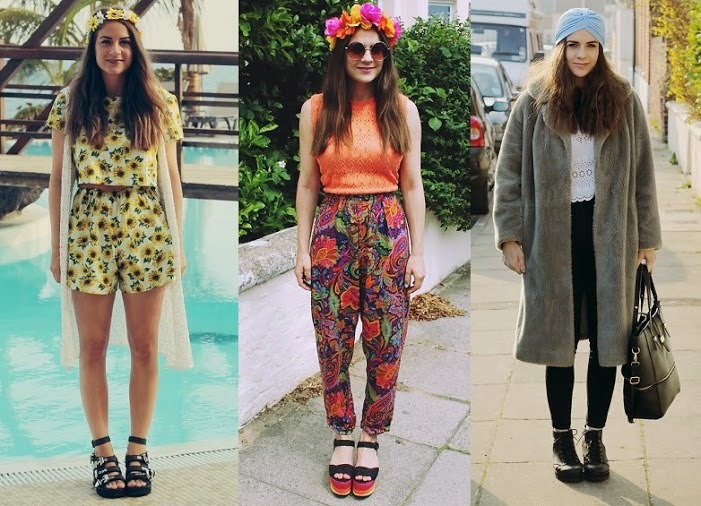 I basically started my blog as an online outfit diary because I could never remember what I wear, and it all went from there after I realised I quite liked blogging and people seem to quite like my style! My boyfriend thought of it! Charity shops, carboots, markets and eBay. Love a bargain! Mary Kate circa 2006 ish, Stevie Nicks and Vanessa Hudgens is my current one. Tom Odell on repeat. I'm a little bit in love with him (sorry Dan) I saw him at the airport in NY and that's when my crush started. His music is beautiful. thankyou for bringing these beauties to my attention! heading over to give them all a follow now! I LOVE reading new blogs! Thanks for the recommendations!